Are you an adoptive parent who has a child who is just grasping the realities of their adoption? Are you getting questions about their “origin story”? Need a little advice? Generally speaking, everyone’s adoption story is a little different, but the best answer to the question, “Why didn’t my biological parents want me?” is, “It’s not that they didn’t want you, it’s that they weren’t able to take care of you.” The following article contains hypothetical conversations with your adopted child on this issue. Speaking positively of adoption. The word, “adoption” is not a four-letter word. It is no longer a stigma. It is not something to be ashamed of. The word “adoption” should be revered and held in high esteem. “I’m so glad we adopted you!” should be a regular phrase in your family. Even if the circumstances of the birth may be negative, adoption is anything but negative. It is the ultimate picture of something good coming out of something bad. Past tense. Rather than saying, “You’re adopted,” say, “You were adopted.” This gives a sense of normalcy. Different kids may come into families in different ways; adoption is simply another mode. Your parents did want you! They wanted to give you life. The fact that you are alive is a testament to the fact that they rejected the choice of abortion and honored life. They could have taken the easy way out and no one would have known about the pregnancy. But the fact that they made the hard choice of completing the pregnancy and placing you in a loving family is proof that they loved you. They wanted the best for you. For some reason, the life your birth parents were living at the time was not the best for you and not the best for them. They realized that if they raised you, it would have placed you in harm’s way. They made a loving, selfless choice by letting someone else raise you, someone who could do it better. They wanted to place you in a loving family. When your birth parents decided not to keep you, they instead made a life plan for you: they decided to complete the pregnancy, to keep you healthy until you were adopted, and to help choose a family to raise you. They wanted to make sure that their wishes and hopes and dreams for you came true! The decision to place a child for adoption can be very personal to a woman. Having conversations around that decision can be awkward, to say the least. It will not be easy, in many cases. But the bottom line is this: “While your mom’s pregnancy was unexpected, you were not unwanted. Your mom did a brave thing by carrying you in her tummy for a full nine months and placing you in a loving family.” While talking to your adopted child, please emphasize that. Please keep in mind that some of these conversations may need to to be preceded with a discussion about human sexuality. This a particularly difficult topic and needs to be handled with care. I wouldn’t broach this topic until I was sure that the child was mentally and developmentally ready for this discussion. This is another delicate conversation that you will have to tailor to the age and development of your child. There may be many reasons why a woman chooses not to keep her child. These conversations will have to be delicate and you may have to choose your words carefully according to the age and development of your child. Adoption is not what it used to be, so the conversations surrounding adoption will be different. In the early 20th century, most people who adopted were white, well-to-do couples who were infertile, knew of a homeless youth, or had the means and ability to adopt. Adoptions were rare anomalies and were usually secretive. The adoptees usually didn’t know they were adopted until years later, unless they found out by accident. This is no longer the case. Three things happened that caused an adoption boom in this country. First, the Korean War in the 1950s created millions of Korean orphans. People like Harry Holt, founder of Holt International, paved the way for Americans to consider international adoption. Other countries followed suit, such as India, China, and Cambodia. Secondly, the fall of the Soviet Union in 1989 opened people’s eyes to failing orphanages around the world and motivated people to adopt from Russia, Ukraine, Poland, and Romania, among other nations. Third, legislation here in the U.S. in the 1990s paved the way for more American families to adopt from the foster care system and removed many barriers along the way. The conversations we have now with our adopted children are not the conversations we used to have 20–25 years ago. Adoption conversations are a lifelong process, not a “one and done” scenario. Let’s back up a second. What are some of the changes that have brought us to this point? Let’s take a look. Open adoption. Open adoptions are a relatively new concept in child welfare. 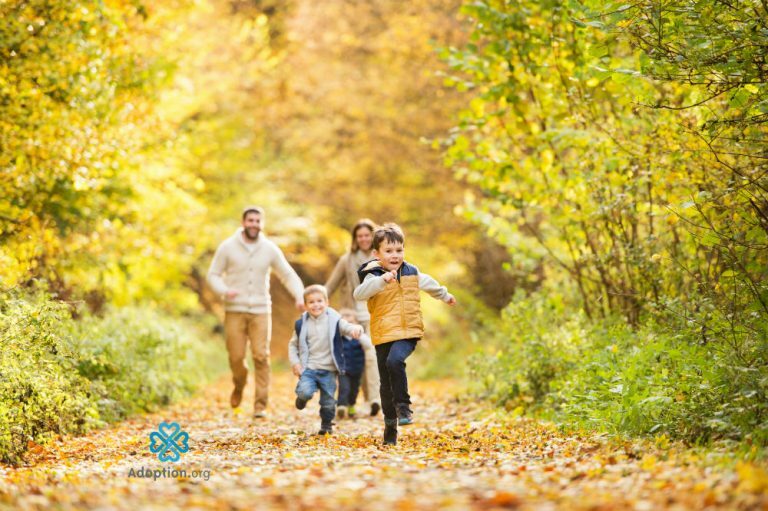 An open adoption, which has been the mode of operation in child welfare for the past 20 years or so, is an adoption in which the birth parents still have limited contact with the adopted child. In the previous mode of operation, closed adoption, there was no contact between adoptive parents and birth parents, whose files were usually sealed under court order. An adopted child did not have access to his culture, family history, or medical history. Now, in most states, an open adoption is expected in private, domestic, or foster care adoptions. The question, “Why didn’t you want me?” can now be posited directly to the birth parents, rather than the adoptive parents. The thought used to be, “I wish I had a chance to speak to my biological parents,” but now it may be, “I don’t know if I still want to talk to my biological parents.” Especially through the teen years, the adoptee is still trying to discover who he is and where he fits into the world. As the teen is now aware of sexuality and the circumstances about his birth, more knowledge may actually be a curse. Animosity and conflicted feelings are not uncommon in open adoptions. The status of adoption. Finally, adoption is not the stigma it used to be. It is not a curse, it is a blessing. It is not a secret! It is a joy! Shout your adoption! Your conversations with your little one should be full of joy, positivity, and hope. In many cases, it is a long-awaited answer to prayer. Let your child know this. We’ve all heard horror stories of women hiding their pregnancies and giving birth in a public bathroom stall, of women throwing their newborns in a trash dumpster, or of women abandoning their newborn children at the hospital. They have done the unthinkable. But a woman who places their child for adoption has done a brave thing. Be prepared for these conversations. Rest assured, it is better to have this conversation than not to have it at all.